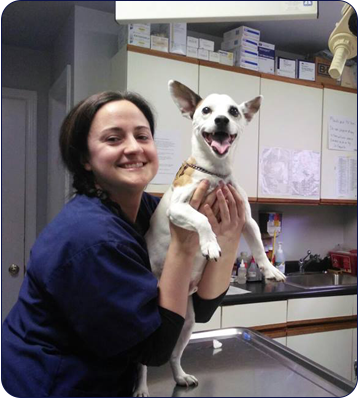 Whether you need a routine wellness appointment or have an after-hours emergency, Prospect Ridge Veterinary Hospital in West Orange, New Jersey, can help. We ask you schedule an appointment, as walk-ins are discouraged. Pet emergencies are accommodated at any time. You can also easily obtain animal medicine for your pet through our online pharmacy or research your pet's condition through our online library, which is rich with medical information. Appointments should be made in advance and walk-ins may be accommodated if our schedule allows it. If you are a new client, you can fill out the registration form in advance and bring it with you, along with your pet's previous records and vaccine history, to your first appointment. If you have an emergency during business hours, we will triage your pet so they can be seen in the order of the most serious. If an emergency occurs after business hours, call Animal Emergency & Referral Associates at (973) 788-0500. If you think your pet has ingested a poisonous substance, an Animal Poison Control Center is the best resource. Call (888) 426-4435 for round-the-clock care. A $60 consultation fee may be applied to your credit card. Vets First Choice is our online pharmacy where you have access to thousands of affordable products. It features a variety of prescription and non-prescription medication, pet food, and supplies, all recommended by veterinarians. If your pet needs special medicine, request a prescription product, and Vets First Choice will contact us for approval. You must be a registered client of our clinic, and your pet must be seen by our veterinarian prior to obtaining the prescription products. If you wish to purchase heartworm preventatives, your pet must have had a negative heartworm test performed by us in the last 12 months. Vets First Choice offers auto-delivery and free shipping on many products. An online medical information service focused on veterinary medicine, the Veterinary Information Network is owned and run by veterinarians. Its purpose is to provide easy access to a comprehensive database of veterinary information supplied by the largest team of specialists in the world. Dedicated to helping colleagues, our clients and patients benefit tremendously from our participation. You can access this information free of charge by clicking here.